Whether visiting town over winter break or enjoying a stay-cation, your family will have a great time celebrating the spirit of the holidays throughout the Syracuse area. From outdoor activities to the always favorite holiday shows, families and children of every age will be excited by our fun-filled offerings. We’ve gathered just a few of the top activities and events for you and your family to enjoy over the winter vacation! “The best way to spread Christmas Cheer, is singing loud for all to hear.” Spread some holiday cheer as you join Buddy and friends with Elf the Musical at Syracuse Stage. The journey kicks off November 30th and continues through January 6th. Worried your little one is too active for a theater show? Reserve your tickets for the Relaxed/Sensory-Friendly performance on December 29th. Check the full schedule for other dates and times. Located in the heart of downtown Syracuse, Clinton Square Ice Rink is one of the area’s top winter attractions. Bring the whole family for a skate in front of the holiday displays, enjoy some hot chocolate and try not to fall! If outdoor skating isn’t your thing, check out one of the city’s indoor rinks at Sunnycrest or Meachem. Rather sit down than fall down? Opt for sledding at any of the city parks or head out to Onondaga Lake Park in Liverpool for some downhill fun. New to the slopes? Looking to introduce the family to skiing? Trying to entertain 8 children for a day? Check out locally owned and operated Four Seasons Golf & Ski Center. Open all week long during winter vacation, Four Seasons is a great spot to learn how to ski, snowboard or just have a fun time tubing. 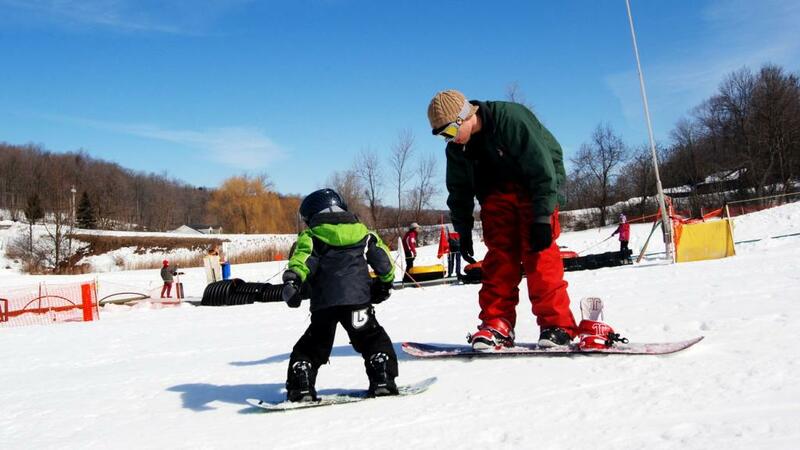 Four Seasons also participates in New York’s 3rd & 4th Grade Kids Ski Free Program. They even offer private tubing and skiing parties, perfect for a holiday class party! Pack up the family and head on out to Onondaga Lake Park for a two-mile drive-thru light show at Lights on the Lake. Enjoy the towering holiday displays including the Twinkling Fantasy Forest and new this year, Santa’s North Pole Station. Set your station to Sunny 102 and listen to the sounds of the season as you drive. Stop by Heid’s of Liverpool before your drive and treat the family to their classic hot dogs. Post-drive stop by Café 407 and enjoy a hot chocolate, cappuccino or freshly baked scone to top off the night. Lights on the Lake is open nightly Nov. 15th – Jan. 6 from 5pm till 10pm. Looking for an indoor activity on those cold winter days? Check out all that Destiny USA has to offer. 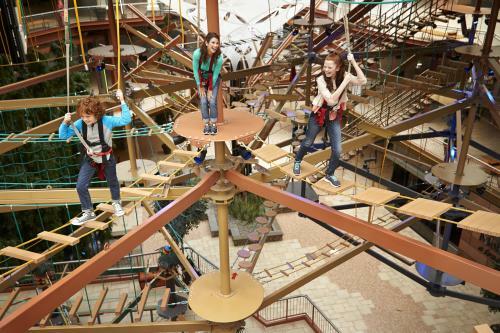 Whether you’re looking to try your hand at pop-a-shot at Dave & Buster’s, balance your way through the indoor ropes course at Wonderworks or just take a ride on the Carousel, Destiny USA has an option for every adventure level. Check out Billy Beez or Build-A-Bear for the little ones or try a whole family adventure as you attempt to Escape the Mystery Room, just remember to save some time for some sweets from Sweet Yummy!